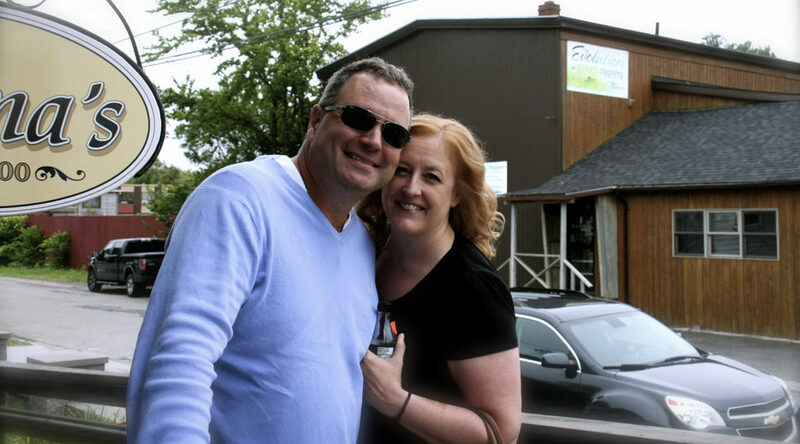 Lisa Raitt, Member of Parliament for Milton, and her husband Bruce Wood, diagnosed with dementia at 56, live with dementia, and during Alzheimer’s Awareness Month, they’re sharing their story to help you understand. In 2015, Julianne Moore won the Best Actress Oscar for her portrayal of a woman with young onset Alzheimer’s disease in the movie Still Alice. I love movies and always have, but I rejected the notion of ever seeing this one. I was ignorant of what Alzheimer’s disease was and was determined to stay ignorant. It was terrifying for me to think of a disease that eroded memories and mind. My career was founded on the foundation of having a quick mind with excellent memory for facts and for people. I wanted nothing to do with the disease, including seeing this movie. And then one year later, my husband Bruce was diagnosed with the same disease portrayed in the film. He was 56, CEO of a major port, great golfer, motorcycle enthusiast and a weekend handyman who was getting ready to go back to flight school to renew the pilot’s licence he had let lapse in the past 10 years. The pronouncement of Alzheimer’s by the doctor was definitive-and absolutely shocking. I demanded more tests, more certainty, a different opinion. None of this changed the diagnosis. Bruce and I followed the advice you receive when you are told you have Alzheimer’s. We applied for genetic testing to see if there was an explanation as to why Bruce had this disease (no genetic abnormality). We reviewed our wills, powers of attorney, insurance policies, mortgage documents and financial situation. Bruce retired (not something he wanted to do but had to do) and I travelled less for work. Both my kids and his kids were made aware of the circumstances and they were encouraged to ask questions and learn more about the disease. We informed our close friends, we changed our diet, increased exercise, got more sleep and cut back on alcohol. But the cruel reality is that there is no cure and no treatment to slow progression of this disease. Here’s what Bruce and I want you to know about living with this disease. First, life is still lived and enjoyed. There is laughter and love and good times. Sure, we can’t do everything we used to do, but we can still do so much. And part of what we can do is help inform and educate people about Alzheimer’s disease and maybe eradicate some of the stigma that comes with the diagnosis. Second, Bruce wants you to know that we need to invest more money into finding a cure. He wants to go back to flying small planes and knows that he can’t unless there is a breakthrough. He says that there is not enough money available for dementia work and will forcefully tell anyone this if they ask his opinion. He believes that progress can be made if the funding is significant and reliable. Finally, I want you to know that having dementia is an isolating experience that leaves those with the disease lonely. Bruce misses work – both the challenges and the people. It’s difficult for a once- in-demand executive to suddenly have nothing to do. Boredom is a constant challenge. While there are more than half a million Canadians living with dementia today, someone of Bruce’s age having this is rare. He’s too young for senior’s care and it’s hard to find a peer group for him, especially when you live in a rural area. So, what can you do? Have patience, learn to recognize the signs of dementia, be a friend and reach out to those you know who have it. And take Bruce’s suggestion, donate or fundraise and encourage companies and governments to do the same. To this day, I haven’t watched Still Alice. Not because I am determined to stay ignorant, but because together, Bruce and I are writing our own story. One made of our own triumphs and failures, and one that is as specific to our family as this disease is to each of those it affects. Visit ilivewithdementia.ca to read more stories by people like Lisa and learn more about Alzheimer’s Awareness Month.